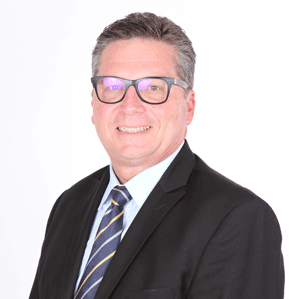 Former Oracle MD Tim Ebbeck has joined Robotic Process Automation (RPA) vendor Automation Anywhere as Senior Vice President and Managing Director for Australia and New Zealand. Based in Sydney, Ebbeck is charged with growing Automation Anywhere’s business in ANZ. Ebbeck brings to Automation Anywhere a distinguished, 30-year career transforming the ANZ operations for some of the world’s largest technology companies including Oracle and SAP, leading and mentoring innovative technology starts-ups, and undertaking strategic reviews, including the first strategic review of NBN Co. Expanding staff and physical presence: Rapidly expanding the team in ANZ including opening new offices in Sydney, Canberra and Auckland before year-end, with plans to further expand in 2019. Attracting great talent: Bringing the best talent in the market to Automation Anywhere, focusing on people with deep industry experience and the ability to communicate the business value of RPA and AI to customers. Leading with partners: Leveraging and expanding Automation Anywhere’s ecosystem of nimble partners with deep expertise, strategic customer relationships, and a thorough appreciation of the business benefits offered by RPA and AI. According to Ebbeck, his experience has enabled him to gain fresh insight into the unique market opportunities for Automation Anywhere in ANZ. “The concept of automation is not a new one. Having led large software companies like SAP and Oracle, I saw customers automating many core processes with ERP, CRM and even core banking systems. However, this created a major automation gap as many processes were left behind, with huge gaps between legacy systems and even more now with hybrid cloud environments – this requires unnecessary, wasteful and mundane human intervention. Ebbeck’s first public engagement as the company’s SVP and MD for ANZ will take place at Automation Anywhere’s Next Generation Digital Workforce Summit. To be held in Sydney on 9 October and Melbourne on 10 October, the summit will offer a forum for attendees to discuss the trends shaping the digital workforce and learn from real-world use cases. To register, visit: https://digitalworkforcesummit.com/.